It is not very often an agency is provided the opportunity to create an entire corporate identity and branding for an established entity. But that is exactly what happened when the Boaz Hospitality Group contacted us and asked for our help with one of their venues that they wanted to take in a new direction. We were grateful to be invited to an RFP, we discussed at length our approach, business model and the fact this does not allow us to enter a lengthy RFP process and were stoked if a little surprised to be awarded the contract on the spot. With looming deadlines for the re-opening of the venue we began our preparations in earnest. 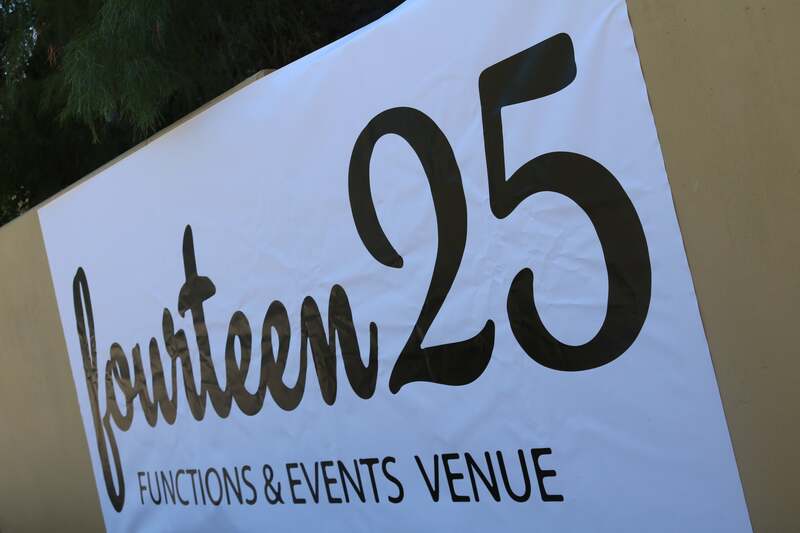 The venue would need signage internal, external and printed materials before launch and wanted all this in place before the peak season. With tight deadlines we rolled up our sleeves and prepared for some sleepless nights. An intense period of market research to help establish where the brand would be positioned and through a series of brainstorming sessions we were able to put forward a framework for a brand definition that all the stakeholders could buy into. We had an almost plain sheet of paper to work from but at the same time we had an established location and venue that was popular and well thought off amongst locals. The Boaz Group however wanted to take the venue in a new direction. 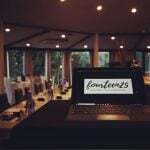 The stunning treetop views and the interior with incredible acoustics was not living up to its full potential whilst it was utilised as a breakfast and light meals venue. Working with the team lead Peter we identified the aspirations for the new venue and through a series of remote sessions we identified the requirements, the identity and character that the client was looking to establish. Our initial task was to come up with a new name for the venue. 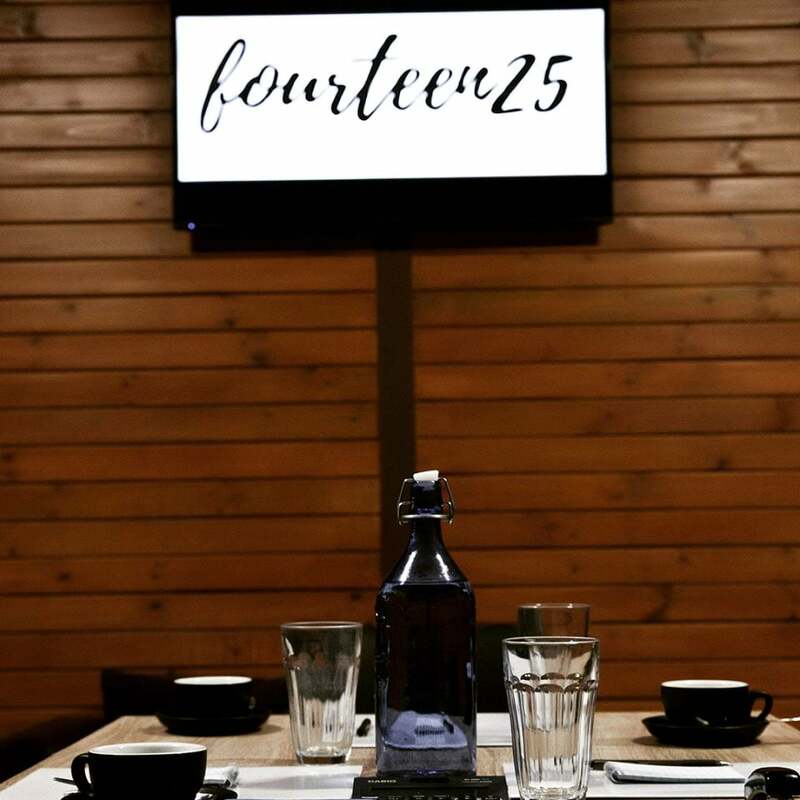 With over 300 suggestions brainstormed, 30 ideas put forward to the client and 6 fleshed out with logo mockups we finally agreed on one of our name suggestions as the most likely “14//25” or fourteen25. Still we needed to identify how these numbers were to be verbalised. It could be one-four-two-five, fourteen-twentyfive or any number of variants. There was much discussion and many factors to consider. It was much loved and there were many aspects the Boaz Group liked about the brand and the logo. Our mission was to retain the aspects they liked whilst coming up with a new brand. Variants of the new brand were tested to select focus groups utilising temporary signage. 14 is an unlucky number for many in the Chinese community and a significant element of the clientele. It is therefore never represented numerically. 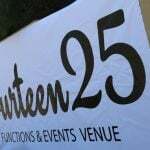 We were happy to agree on the format fourteen25 for the new venue located at 1425 Main Road Eltham. With that underway we needed to build a website and put together rmail templates supporting digital material and creative for the clients online and social media marketing needs. We also provided a full startup print materials pack. fourteen25 needed business cards, compliments slips, letterhead and presentation folders, as were invitations that were to be sent in the mail, color flyers that were to be distributed by hand and postcards for promotional purposes.